HomeAnalysisThe Destruction Of Our Health: Where Do We Go From Here? The Destruction Of Our Health: Where Do We Go From Here? We as Americans, and for this matter to a large extent, all of humanity, are under fire. We are being poisoned from every direction. There is no place to run or hide. There is no escape. So it is time to stand fast and confront our violators. The only viable solution is to stand up and in a loud enough voice (via massive numbers) push back against what I can only describe as the most heinous agenda ever perpetrated against mankind. What we are seeing today makes the holocaust, Stalin’s purge in Russia and even Mao’s purge in China look insignificant in comparison. So what am I talking about … What could possibly be this significant to all of humanity. And these are just the main players. 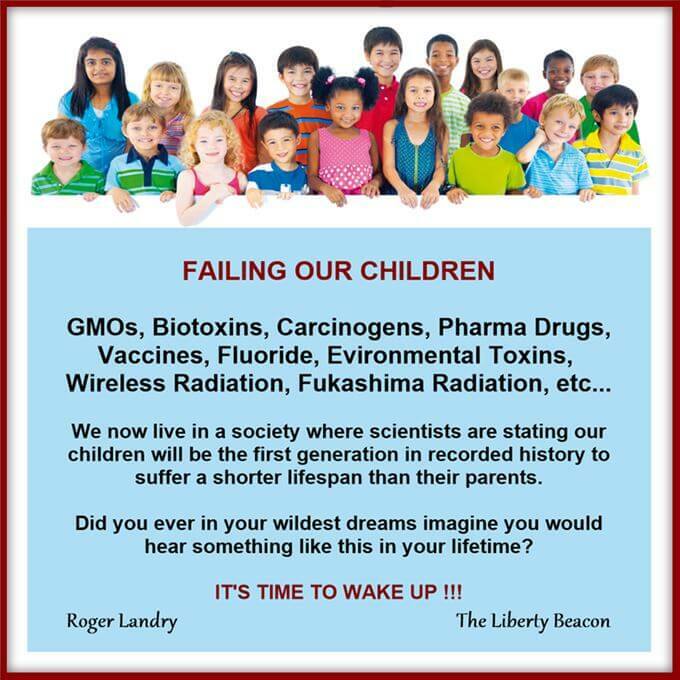 Via these mechanisms we are being poisoned by the air we breath, the food we eat, the water we drink, the medications we take, the vaccines we receive and the toys/devices we play with (cellphones, computer wifi, smart meters, etc…). Each and every one of these mechanisms in their own right are a severe (KNOWN) detriment to our health, but especially to the health of our vulnerable children with developing brains, blood to brain barriers and immune systems. There is solid scientific proof that when the human body is exposed to multiple toxins simultaneously, the cumulative affect is not necessarily additive, but in a vast majority of cases, magnitudes more harmful. But why do I place special emphasis on Americans? Americans today suffer the highest levels of cognitive dysfunction (Alzheimer, Dementia, Autism, ADHD, ADD etc…), the highest level of autoimmune disorders, the highest incidences of deadly food allergies, one of the highest levels of diabetes, the fastest rising level of occurrences of cancer in both our youth and elderly (one out of three baby boomers have cancer), the fastest rising level of infertility, one of the highest levels of infant mortality (soon to be number one), one of the highest levels of spontaneous abortion or stillbirth … etc… in the industrialized world, and for most of those mentioned above, we are the gold medal winners on the entire planet! Now how many times has our government made this type of information available to you, all in one place, with the issues and possible catalysts all mentioned in the same text? The answer is a resounding NEVER. The burning question is WHY when all above is true, and most of this information can be seen, in isolated sources, in published information from said government. The time-line for this massive transformation of America is about three generations with the USA being among the healthiest nations on this planet in the 1950’s. Those days are now gone forever, and as a result of all mentioned above (all being birthed or matured over the last three generations), our slide to catastrophic health as a nation is all but guaranteed. But even now this scenario is getting much worse (accelerating) as our once world-renowned healthcare system was basically Dismantled and Destroyed right before our eyes (via Obamacare), leaving us little, or severely limited, recourse in our inevitable illnesses. President Trump has promised to rescue America from Obamacare … but the jury is still out as to what will replace it, and if we will in fact be any better off. The biggest issue we face here is the convergence of all these components over the same time frame, all sponsored by or promoted by this very government … Can you say GENOCIDE or intentional POPULATION REDUCTION? Now before you push back on my last comment, are you truly convinced that this government with its unlimited funds and resources, is ignorant of these facts or component convergence … REALLY? One of the clearly stated goals of Agenda 21 (now Agenda 2030) is the reduction of the global population, and this will be accomplished with the aid of all the mechanisms mentioned in this article (and some we may not be aware of yet). This agenda can be accomplished with relative ease, and without massive population culling wars … providing people like you and me don’t wake up in mass and push back hard. 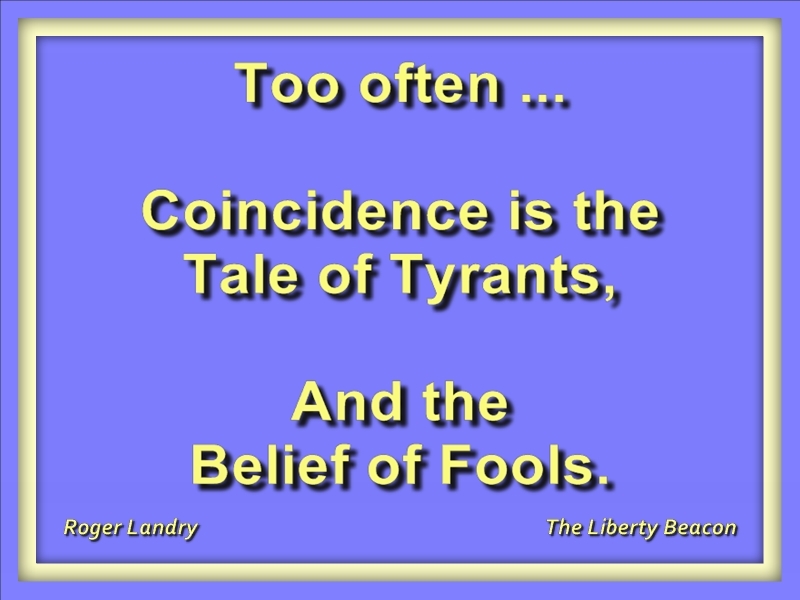 To those who would rule humanity eliminating (Culling) a sizable portion of this planets population to a more controllable number (the key reason for all this) is not a weight on their conscience, and America has no special immunity from tyranny. Actually quite the opposite, as those who would play God believe America must be culled or neutered first, and brought to its knees in order to keep us with our cowboy attitudes and freedom loving spirit, from inspiring an uprising and leading the charge against them globally. So are you a fool ??? Now for all who would state that this is merely a conspiracy theory … You are partially correct because it IS a conspiracy, but there is a massive amount of scientific proof and documented actions (on this website alone) to more than alleviate any chances of this being a theory. All one need do is look deep enough. But in a severely sickened and dumbed down society that may be asking … just a little too much. Below I offer a select video covering each of the mechanisms of health destruction mentioned above, as well as selected TLBTV Special discussions with the experts. Take the time to find out more … or go back to sleep, a sleep that is sure to be FATAL !!! THIS GOVERNMENT DOES NOT GIVE A DAMN !!! … and at worst is COMPLICIT !!! TLB Editors Note: Most of these shows were recorded when TLB had only one show (Eradicating Programmed Ignorance), and it was on another network (Conscious Consumer Network). 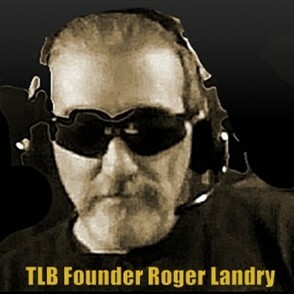 These shows were broadcast just prior to our launch of TLBTV.com but are all highly pertinent and most germane! 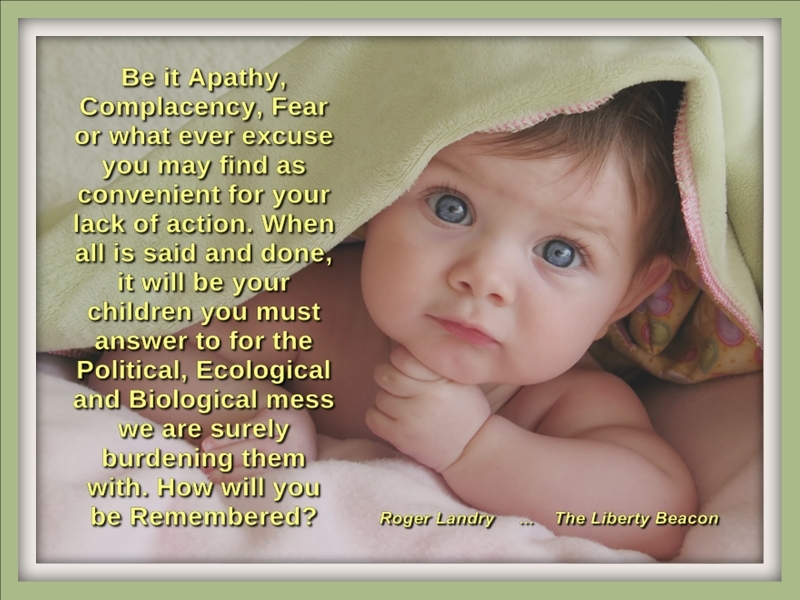 TLB Note: If you wish more referenced or amplifying information on any topic discussed in this article, please insert the topic title (GMO, Vaccines, Fluoride, etc…) into the search bar on our HOME page and you will be presented with a plethora of recent and archived articles, shows and additional information. Why Are Taxpayers Being Asked to Pay to Promote a Failed Ag Technology?